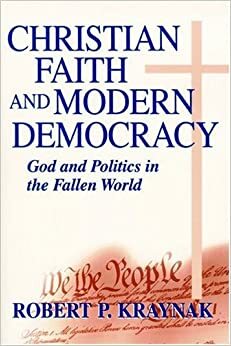 In his well-known book Christian Faith and Modern Democracy, Robert P. Kraynak argues that Christianity is inherently illiberal and undemocratic. Nowhere does Scripture prescribe democracy or speak of human rights, Kraynak points out, let alone call for a separation of religion and politics. And while the Bible affirms the dignity of every single human being by virtue of her creation in the image of God, the image of God is conceived in primarily spiritual terms, in which obedience to God is more essential than liberty. This spiritual view of the image of God, Kraynak argues, implies that human dignity is relative to degrees of human perfection. A more faithful person has more dignity – is higher in the hierarchy of value – than a less faithful person. Similarly, a man is naturally superior to a woman. To be sure, Kraynak admits, the New Testament undermines all such hierarchies by asserting the fundamental equality of all persons in Christ, so relegating social and political hierarchies to secondary status. Still, this very relegation, this very separation between the spiritual and earthly cities, means such inequalities can be tolerated as long as spiritual equality is preserved. This is in sharp contrast to liberal democracy, which insists on social and political equality. Kraynak admits that the Reformation undermined the church’s hierarchicalism and rejected systematic Neoplatonism, but he claims that in their doctrines of the two kingdoms and predestination Luther and Calvin maintained the theological commitments that lie at the heart of Christianity’s illiberalism. For Kraynak that is not a bad thing. Christianity is not inherently democratic, he maintains, and Christians have been wrong to imagine it so. It is true, of course, that classic Christian political theology consistently distinguishes between the kingdom of God and earthly political structures (a distinction that has been variously labeled as the two cities, the two kingdoms, the two governments, the two jurisdictions, the two powers, the two swords, etc.). It is also true that this distinction makes Christian political theology a species of political realism. Politics is the art of the possible, not of the ideal. We must tolerate sin and injustice because only God can set things right. Our task is to maintain a general degree of peace, justice, and order. In my view, therefore, Christians have rightly identified equality, along with liberty, as an essential part of the gospel of Christ. This does not mean equality without difference, but it does suggest that Christians should aspire to forms of equality much more substantive than is implied by the bare minimum of political realism. What about the doctrine of predestination? My friend and teacher Timothy P. Jackson insists that the doctrine of predestination leads Christians constantly to create distinctions between ‘us’ and ‘them’, distinctions that fall all too easily into the oppression of or apathy toward the ‘other.’ The only way to overcome this temptation, he insists, is to eliminate any distinction between the saved and the damned. The objection has to be taken seriously. No doubt Christians have used the distinction between the saved and the damned, the elect and the reprobate, in just such nefarious ways. But in my view such misuses of the doctrine of predestination actually rely on a caricature of it – one common enough that it is proclaimed by some Christians as the teaching of Scripture (thus rendering plausibility to Jackson’s objection). In this caricature God wills the judgment of the reprobate, and thus no matter what such persons do in their lives, they cannot escape it. That is not the Christian doctrine of predestination as it has been articulated by Augustine, Aquinas, Luther, or Calvin. Christian theologians have generally distinguished between the revealed and normative will of God, on the one hand, and his divine sovereignty, which is hidden and mysterious, on the other. The distinction amounts essentially to this. God desires that all people be saved just as he desires that all people act lovingly and justly. This is a genuine desire on God’s part. The one who is love does indeed love all persons made in his image, and he does good to the just and the unjust alike. It was out of love for the world that he sent his son to suffer as the lamb of God, the one who is the propitiation not only for our sins, but also for the sins of the whole world. But this does not deny the fact that as the sovereign Lord, God does, in some mysterious way, govern all that occurs. This governance does not take place on the ordinary plane of causality. Without dictating the actions of angels or human beings, God nevertheless governs them according to his sovereignty (or his decretive will). While hating evil and injustice, and while desiring the good for all people, he nevertheless ordains all things according to his purposes. This is not a doctrine that arises from philosophical logic but from faith. It is not a doctrine that we seek to explore to its depths, as Calvin pointed out, but one that we accept based on the recognition that God is entirely different from us, and cannot be measured by our notions of scientific or philosophical causality. Indeed, he cannot really be known or understood at all, apart from his revelation in Christ. Christians are therefore called to conform to Christ in their attitudes towards all persons, laying down their lives in humility and service. Any other ethical use of the doctrine of predestination is ideological and self-serving. None of this requires that Christianity is inherently liberal of course, let alone democratic. That would depend both on what is meant by liberalism and what is meant by democracy. But it does suggest that Christianity is not inherently illiberal or undemocratic. Perhaps we can agree on that. Christian political activists from across the political spectrum sometimes speak and act as if Christians should brook no compromise with the state on the particular issue with which they are concerned. Whether the issue is sustenance for the poor, protection for the unborn, the punishment of what scripture calls sexual immorality, or something else, the argument is made that on this point there can be no compromise: A Christian cannot vote for a libertarian or a Tea party candidate, or for a pro-choice politician, or for a politician who supports gay rights, etc. So the argument runs. I suppose we are all supposed to write in our favored names, be it Jim Wallis, Pat Robertson, or Doug Wilson. It is certainly true that when it comes to proclamation and witness Christians should preach the whole will of God. As Timothy P. Jackson points out, no faithful Christian would willingly sacrifice fidelity to God to her own political or personal interests. We are disciples of Christ first and foremost. A Christian pastor is obligated prophetically to proclaim the whole word of God. All of this may sound an awful lot like moral relativism. Wouldn’t it be best simply to advocate the implementation of the law of God, come what may? In fact, John Calvin pointed out, even the law of God itself, the Torah, limited the civil enforcement of God’s will to what sinful human beings could be expected to fulfill. Its severity was relaxed due to the hardness of human hearts, and it even regulated unjust practices in order to minimize their destructive consequences. In all of these cases Calvin argues that although the conduct in question was patently unjust, God nevertheless tolerated it due to the hardness of human hearts, and even provided for its regulation in Israel’s civil law. His point is not to defend these laws. On the contrary, Calvin is more than willing to suggest that the Torah’s civil laws can and should be improved upon by in the laws of nations. The objective is not to seek the lowest common denominator, but to recognize that there are limits on what the state can do and should try to do. While the gospel may accomplish what is impossible for human beings, politics remains the art of the possible. All of this suggests that many Christians would do well to reconsider their dogmatism when it comes to contemporary American politics. The questions facing citizens and politicians alike are complex. It is no easy matter to determine what forms of injustice or immorality government should tolerate, let alone how it should regulate them to minimize abuse. It is not always easy to determine which politicians hold their convictions about the limits of law in good faith. Christians desperately seek certainty in these matters, but when it comes to politics certainty is a luxury. Here we do not have a clear divine blueprint for law or policy. Here we are in the arena of the virtues of love, prudence, and humility, which each person must seek to put on, in conformity to the image of Christ, as best she can, in good conscience. In the meantime, Christians must remember that what the state is able to accomplish is not the limit of what human beings are expected to fulfill, let alone what the church should proclaim. Christ demands perfect justice and holiness from all human beings, in every area of life, and it is to that standard that he will hold us all accountable when he comes to judge the living and the dead. “You therefore must be perfect, as your heavenly Father is perfect” (Matthew 5:48). What Are the Elders and Pastors of the Church Supposed to Do? I once attended a church in which a group of women decided to start a book club as a means of fostering Christian friendship among themselves. The women only saw one another at worship and were looking for further ways of connecting. This is not uncommon, of course. But the book club never got off the ground. The women had selected a book to read and were planning their first meeting when the pastor got wind of it. Without discussion or warning, he announced from the pulpit that the women would be reading a different book, one that he had selected. That sort of sucked the life out of the endeavor, turning what had been a bottom-up affair among women to one that came down from the man at the top. Yet I could not help but wondering, why did this pastor assume he had the authority to take control in this way? I eventually realized that this was not an isolated incident. The pastor was a man accustomed to being in control. He was willing to use his office as he felt necessary in order to accomplish his ‘pastoral’ objectives, without accountability. Of course, there are few controversies in the church older than that of church government. In the New Testament the pastors of the church are interchangeably described as presbyters and bishops. Not long after the apostles passed from the scene, however, Christian churches began to rally around the authority of particular bishops (such as the bishop of Rome) as focal points of unity and standards of orthodoxy. Bishops took on a whole new array of governmental tasks, overseeing the deacons’ care for the poor and adjudicating conflicts among believers. The church’s emerging hierarchy was a clear imitation of the highly successful polity of the Roman Empire. The canon lawyers of the medieval church recognized that Christ spoke similar words to the apostles as a group, not simply to Peter, and so they came to distinguish between two types of authority grounded in Jesus’ statement. On the one hand, they argued, Christ gave all the apostles, and hence all priests directly, the sacerdotal authority to administer the sacraments, including penance. On the other hand, Christ gave to Peter alone, and hence to the popes, supreme ‘jurisdiction’ and ‘administration’, the power to govern, to legislate, and to adjudicate specific disputes. In such matters the pope had the ‘fullness of power’; he could not violate articles of faith, but he did have full discretionary authority over the church’s temporal affairs, and – very significantly – that authority was backed up by the powers of excommunication. The sharpest medieval critic of this view was Marsilius of Padua. Marsilius denied the divine origin of the papacy and insisted that the church is a purely spiritual institution concerned with otherworldly salvation. He vigorously rejected any coercive power on the part of the church, including excommunication, insisting that ecclesiastical affairs of jurisdiction and administration belong to civil government. Marsilius thus became the clear forerunner of the later Protestant theory known as “Erastianism,” in which civil magistrates are placed at the head of the church and the authority of the church’s ministers is limited to the word and sacraments. The Marsilian or Erastian view became the default view of the early magisterial reformers. To varying degrees, Luther, Melanchthon, Zwingli, Bullinger, and the Henrician reformers in England all not only relied on magisterial power as an emergency source of authority to launch the reformation, but embraced civil government as the rightful overseer of the church’s order and life. On the far extreme was the English Reformation, with Henry VIII’s claim to be the Head of the Church. Much more moderate was Martin Luther, who was always uncomfortable with civil authority in the church, but who struggled to find an alternative. Most prominent in Reformed churches were the views of Zwingli and Bullinger, who equated the church and civil government as essentially one society with two kinds of power, that of pastors and that of civil magistrates. For Zwingli and Bullinger the tasks of excommunication and poor relief entrusted to the church in New Testament appropriately fell to civil magistrates in the era of Christendom. Now that such civil rulers had converted to the faith, there was no need for ecclesiastical ministers to maintain such functions independently of the city or commonwealth. Ecclesiastical control over discipline and poor relief was associated with the tyranny of the papists. It was Calvin, finally, influenced by Martin Bucer, who began to navigate a way between the extreme claims of the papacy, on the one hand, and the Protestant Erastians (or Marsilians) on the other. Calvin insisted that as the spiritual kingdom of Christ, the church is called to administer specific spiritual functions without interference from political authorities. These functions do not only consist of the word and sacraments, but of discipline (including excommunication) and of care for the poor. Calvin thus insisted that the church has its own right of spiritual jurisdiction that must be sharply distinguished from the political jurisdiction of civil government. How was this spiritual jurisdiction to be distinguished from the tyrannical claims of the papacy? Calvin maintained that the church’s jurisdiction is non-coercive. It simply consists in barring a person from the Eucharist and urging him to repent. Just as importantly, he stressed that the church’s right to excommunicate or discipline its members cannot be invoked with reference to any dispute or temporal matter whatsoever, as happened under the papacy, but only with reference to spiritual matters. To put it another way, the church could only discipline a person if she was in direct and clear violation of the moral law of God. Thus the church’s spiritual jurisdiction was not magisterial or discretionary, but ministerial. It was entirely bound up with the word such that church discipline could be said to be an extension or appendage of that word, an exercise of the spiritual sovereignty of Christ. For Calvin even the church’s care for the poor, an expression of the communion described in Acts 4, is fundamentally spiritual rather than temporal. It is a direct manifestation of the restoration that the kingdom of Christ has begun in human beings. But Calvin agreed with the other reformers that the outward and temporal matters of the church’s life are to be sharply distinguished from these spiritual matters, and are therefore subject to a different kind of government or polity. Such “indifferent” matters included the appropriate time and day of worship, the speech and attire of women, the forms and postures of liturgy, none of which, Calvin insisted, pertain to the conscience (which does not mean that scripture has nothing to say about them). Calvin was not very clear about just who should regulate such indifferent things. Clearly he permitted civil government some control here. He submitted to the Geneva government’s decision concerning the frequency of the Eucharist, to its control of the procedures by which the ministers of the church were elected, and to its funding of the church’s ministries (and consequently its control over the church’s finances). Equally clearly, he insisted that civil government could not direct such matters according to its own whim and preference. All the affairs of church life are to be ordered consistent with scripture and for the edification and peace of the body. Yet it is noteworthy that when Calvin described the offices of church government he did so with respect to the church’s spiritual functions rather than with respect to its temporal or indifferent affairs. For instance, Calvin was adamant in his preaching that the deacons of the Genevan church – which he said should include an order of women – were to be embraced as possessing a spiritual office like that of the pastors rather than that of the civil magistrates. Even more significantly, he always defined the office of elder with respect to the function of spiritual church discipline. He never characterized it as an office of general rule or jurisdiction in the church. In that sense Calvin was no Presbyterian. His office of elder, unlike that of later Reformed and Presbyterian churches, had one specific spiritual function – the function of church discipline. And it is only with respect to that specific function, he argued, that the elders can claim to administer the spiritual government of Christ’s church. Why did the later Reformed tradition develop a much broader understanding of the office of elder? When Reformed churches were established in Catholic France, under the cross, it was obviously impossible to concede control of even indifferent ecclesiastical affairs to hostile civil magistrates. French churches therefore tended to turn such affairs over to the control of deacons and elders (in some cases the offices of elder and deacon even blended into one). But they were mindful that this was an outward or temporal authority, not a spiritual one. Evidence for this appears from the fact that they (ordinarily) dealt with matters of (spiritual) church discipline at separate meetings from those in which they handled the general affairs of church government. A similar development, I believe, explains the evolution of church government in the Dutch Reformed Churches. To this day the elders in Dutch Reformed churches are supposed to distinguish their spiritual oversight of the congregation, with which they deal in meetings of the Consistory (pastors and elders), from the matters of general church government, with which they deal in meetings of the Council (pastors, elders, and deacons). Here the Dutch Reformed ‘Council’ (an office of the church) seems to have neatly taken the place of the Geneva ‘Council’ (the supreme authority of Geneva’s civil government) in governing the indifferent affairs of church life. What worries me is that in some Reformed churches there seems to be little understanding of the difference between the spiritual government of the church, in which the pastors, elders, and deacons administer the kingship of Christ, and the church’s handling of indifferent affairs, in which they are merely representatives of the congregation. In short, I fear that too often elders and pastors think that when they are exercising their authority over indifferent matters they are exercising the authority of Christ! Perhaps that helps explain why many elders devote far more time to such mundane affairs than they do to the vital and spiritual function of church discipline. Understanding the difference between spiritual and indifferent affairs also has implications for the involvement of the broader congregation in decisions concerning the latter. If Calvin and the other reformers were willing to cede significant authority over the indifferent affairs of church life to civil authorities (a willingness I think we should wholeheartedly reject) because such matters were simply to be conducted for the edification and peace of all believers, how much more should we yield authority over such matters to the very believers whose edification and peace is its objective? This doesn’t mean the church need always operate by majority vote. It does suggest that the general matters of church government might be appropriately handled at meetings and through procedures in which all faithful men and women, in addition to the officers of the church, can participate. Such a conception of church government would have a twofold salutary advantage. First, it would make the church more sensitive to the gifts, wisdom, and consent of its full membership. Second, it would help people to distinguish the spiritual government of Christ administered by the church’s officers strictly according to the word from those indifferent matters of government appropriately subject to the primary concerns of love, edification, prudence, compromise, and peace. That in turn might help our fragmented churches achieve a greater measure of unity. I believe the Apostle Paul had something to say about that. Protestants are currently experiencing revival of interest in natural law. For a long time most Protestants dismissed natural law as a Roman Catholic concept, one that carried with it all sorts of semi-Pelagian assumptions about human nature and the powers of reason. Even worse, they associated it with the Enlightenment and its Deistic abandonment of orthodox Christianity. Even today many conservatives and liberals alike find their reasons to reject natural law. For conservatives the concept serves as a Trojan horse for the rejection of scripture, a dangerous elevation of human reason and autonomy. For liberals the captivity of natural law thinking to the concerns of “pelvic ethics” suggests that it is simply a way for religious conservatives to pretend they are using public reason, when in fact they are simply expounding traditional Roman Catholic attitudes toward sexuality, marriage, and birth control. Ellul identifies the philosophy of the Stoics and the theologies of Aquinas and Calvin as examples of relatively sophisticated natural law theories that had virtually no impact on actual law. Real natural law, he insists, is something on which we reflect, not something that we construct. It is but a short step from the systematic analysis of natural law to its replacement by positive law. “It does not take long for this view to reach the jurist, who in turn tries to organize law in a rational way.” Soon law becomes becomes a creation of the state. 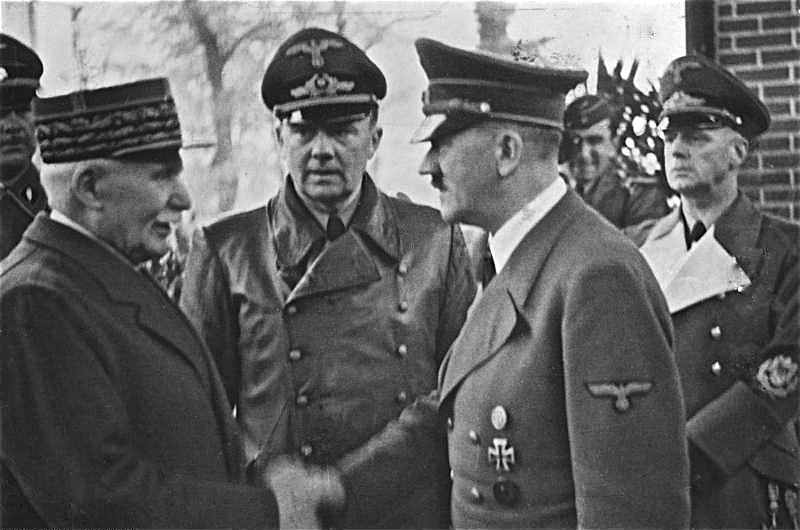 Having been a leader in the French resistance, Ellul identifies Nazism and Communism as the phenomena that he has in mind. In both cases the natural law of justice was abandoned and law was manipulated as a flexible tool for a new and greater purpose (i.e., ideology). The inevitable byproduct of this development is the collapse of the rule of law itself. The state is raised above the law and those under its rule know it. Why should they voluntarily submit to rules that have no grounding in right or justice? The power of the law now simply consists in fear and coercion, and people will disobey it when they get the chance and when it suits their interests. Ellul describes these developments as history. Natural law, he thinks, has been lost, and no amount of theorizing or theologizing can recover it. The only hope for humanity is a revival of civilization on the part of God himself. I get the sense this sentiment would resonate with many American Christians today. Why even bother reasoning about politics or the law? Things are too far gone for that. I think Ellul’s analysis of natural law and its history has much to be said for it, but I think he wrongly reduces history to an inevitable evolutionary process over which humans have little control. I also think that he – and many contemporary Christians – are too quick to dismiss the moral sensibilities of a world that remains under the common grace of God. Ellul wrote in the shadow of a shattered Europe, with millions of the dead able to testify to what law had become in the hands of dictators and soldiers, guerrillas and criminals. But even in the late 1940s and 1950s Americans were much more optimistic (witness the baby boom) because they realized that the European experience was not the whole story. Indeed, it was out of the ashes of World War II that a system of international law and human rights emerged that can only, only be explained as an example of natural law at work. It is true that this system is codified and enforced to varying degrees around the world. It is also true that while it approximates certain Christian moral sentiments better than did the laws of traditional societies, it largely ignores others. But this is nothing new under the sun. Anyone who tells you there was a golden age of morality and law hasn’t read much history. Ellul rightly characterized the dangers facing a society that has lost its allegiance to justice (i.e., to natural law), but if the West has received another lease on life, Christians would do well to engage in the hard work of strengthening and rebuilding moral consensus rather than seeking to overcome it with the use of brute force (all the while complaining about its demise). Jesus is still Lord, the sun continues to shine, and rain continues to fall on the just and the unjust alike. That suggests there is still something to be said for the world after all.